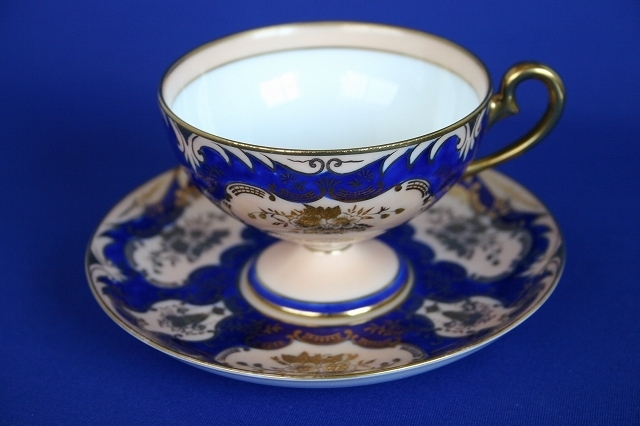 This is Noritake C&S with colour of ultramarine and salmon(Backstamp is Maru-ki) for European use. Noritake C&S usually reflects Western taste， however， this colour combination reminds me Kimono in the early summer. When the salmon was forbidden colour， this pale colour was admitted.